Try Something New…Enjoy Your Shopping Experience! Fronney's is a full–line grocery store with all your favorite brands and products in our grocery, frozen and dairy aisles. Our meat department features both pre–packaged cases and a full service meat counter with butchers happy to assist you find that perfect cut. The cold cases offer a wide selection of meats and exclusive Country Smoke House products. Country Smoke House, a family–owned Michigan company, uses their own time–honored secret recipes to smoke or barbecue their delicious products. You will want to try them all! Bright, crisp farm–fresh produce welcomes you as you enter the store, and features a huge selection of locally–grown produce when available. In the Deli and Bakery departments, our chefs and bakers are busy creating the freshest, most tempting meal solutions and baked goods for you every day. Be sure to stop by to see what’s new! And for your adult beverages, from Michigan to domestic and imported, we have an amazing selection of craft beer and wine. Prefer liquor or mixers? We have a variety to suit every taste at the prices you are looking for. 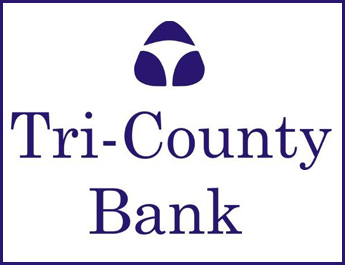 For your convenience we offer one–stop services with a Tri–County bank location, including a 24–hour ATM machine. 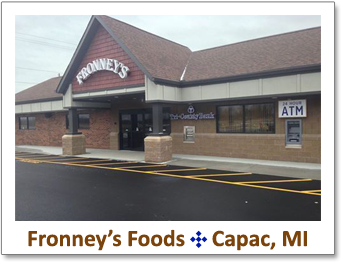 Fronney's accepts EBT, WIC, and also provides fax and copy services, propane filling, and Michigan Lottery. When you shop Fronney’s Foods, we strive to provide a fun and enjoyable shopping experience, because we can’t wait to see you again!